I went for a walk in the cold, cold weather today…believe me, this is not something that comes naturally to me (the cold, not the walking part). But, as I have mentioned before, when you work at home it’s really important to get yourself out of the house at least once every day, as silly as that sounds. As I was walking down a busy street, I saw a tow truck about to hoist up a big, 1970s gas-guzzler kind of car. This car was clearly vintage, but had been lovingly cared for. There was a middle aged man standing by the car, looking a bit sheepish and uncomfortable, and joking around with the mechanic. I kept walking. After I had finished my nearby errand, I walked by this scene again, from the other direction. The same situation was still playing out, but from this vantage point I could see a parked car behind the tow truck, with an elderly man sitting in the passenger seat. He was staring straight ahead, with a slightly grim but stoic expression on his face. He looked tired, small. Within a millisecond, I had come up with a complete story in my mind and was filled with angst for the general human condition. The old man, the father, had taken his old clunker out for a run even though he’d been told not to, perhaps his driver’s license had been taken away from him. The car had broken down, and he’d been left stranded and forced to call his son to pick him and the car up. His son was embarrassed, worried, feeling awkward in a situation where he had to take on the role of authority, of action, a role previously played by his father. The father felt foolish, helpless, ego bruised, vulnerable. What was going to happen when they got home? I imagined that he was widowed, had recently moved into his son’s home, and still hadn’t adjusted to his new circumstances. Of course, all of this was totally in my head, based on a visceral response to what I had seen. I felt sad, melancholy, and I had to laugh at myself and move on. 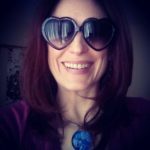 I tell this story because of its connection to how Tarot works. 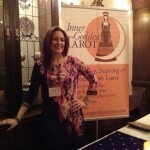 As a Tarot reader, I use a combination of solid knowledge along with intuition to interpret the cards. For me, both are crucial. Over time, I’ve come to trust my intuition more and more, as I’ve become more and more knowledgeable about the symbolism of the cards themselves. 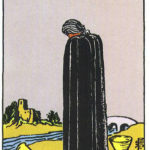 After I lay out the cards for a reading, I take a breath and just have a look at the big picture. I pay attention to the initial instinctive reaction to what I feel there, the emotion, the atmosphere. Then, as I dive into the meanings of the cards, a story starts to appear more clearly. Each card has to be woven into the story, it’s important to pay attention to how the cards relate to each other, how they are positioned, what symbols/figures/numbers/colours they contain. Equally important is to take note of how the client reacts to the cards. Often that first reaction, that feeling, reveals the key to the story. 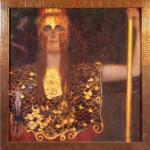 If someone feels great revulsion towards a card that seems positive or neutral, explore why. Don’t assume that your client sees things from the same vantage point as you. Lastly, it is essential to read what you SEE in the cards, and not to let your imagination run off with you. Everyone loves a good story, and it’s easy to get carried away. As you weave the story for your client, make sure that what you are saying comes from the cards themselves, not just from your own life experience or belief systems. Keep going back to the cards, and keep that balance of Tarot knowledge and intuition. 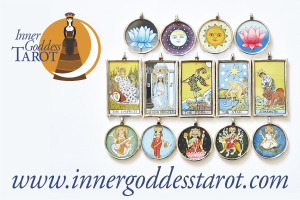 A good Tarot reading is like a good story, with a clear beginning, middle and end. It answers the question being asked, and provides many useful details, options, and helps us to see connections and sign posts. It is based on genuine knowledge, as well as empathy and intuition. It is a lovely thing, when the reader and the client align and weave that story together, and this is where the deepest readings come from. What is your story? How do the cards speak to you? 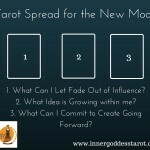 How are you learning Tarot?